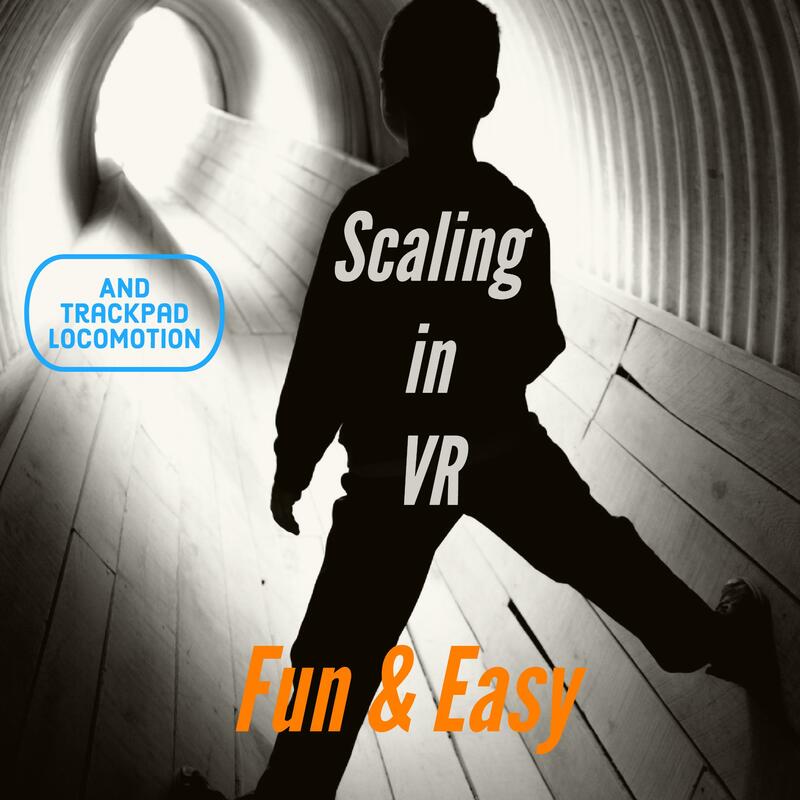 Scaling a player in VR opens up a world of options for game design and can be a ton of fun. In this example, I’ll show you how to quickly adjust the scale of your player, make them shrink and grow at will with a couple lines of c# in your Unity3D project. We’ll use SteamVR and the CameraRig to make our player tiny, walk through a little door they couldn’t normally get into, then scale them back up on the other side. Recreate it yourself or download the project sample.